We have a rule on Rabelo. We never have more than one couple a month for more than five days. Of course rules are meant to be broken, and on occasion we’ve broken almost all of Rabelo’s Rules. We said goodbye to our friends Tom and Ilana, and less than a week later our friends Scott, Lovita, Jon, and Cherolyn arrived. 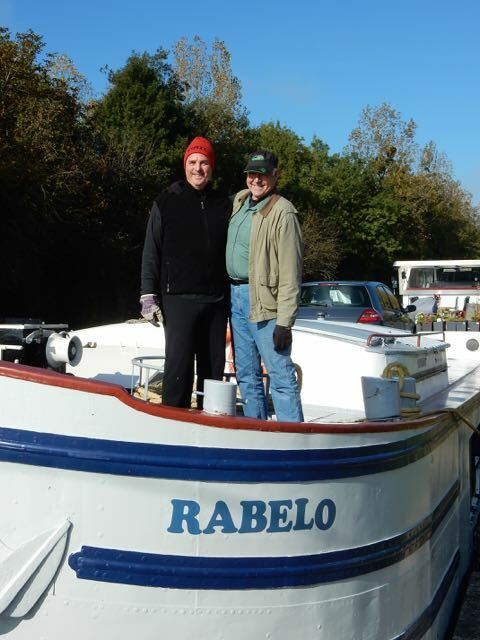 We’ve had both these couples on Rabelo before, and know that they are some of our easiest guest. 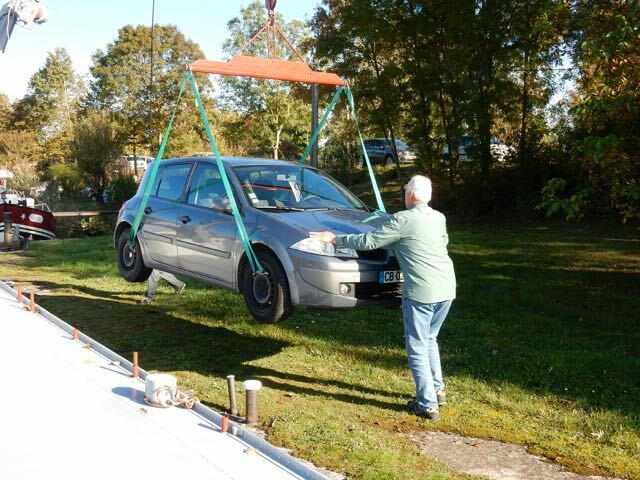 It was late in the season, so I wanted to get back to our winter mooring in Saint John de Losne (SJDL). It was a short two-day trip from Dijonto SJDL. 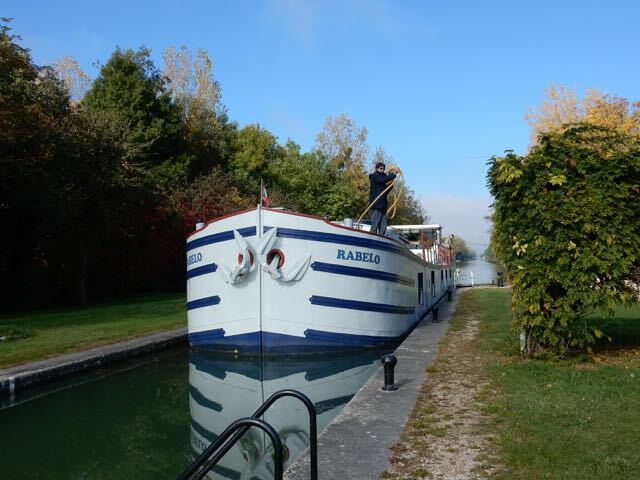 I drove the entire way while Scott took care of the aft lines in the 22 locks we passed through. It was a real treat not having to handle the lines, and just drive. Thank you Scott! Rabelo’s last trip of the season. Scott and I on the bow of Rabelo. Scott helping to unload the car for the last time this season. 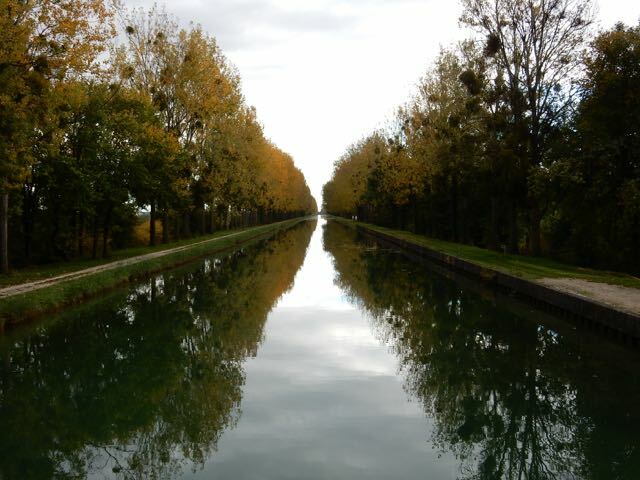 Even the worst part of the Burgundy Canal is still beautiful. 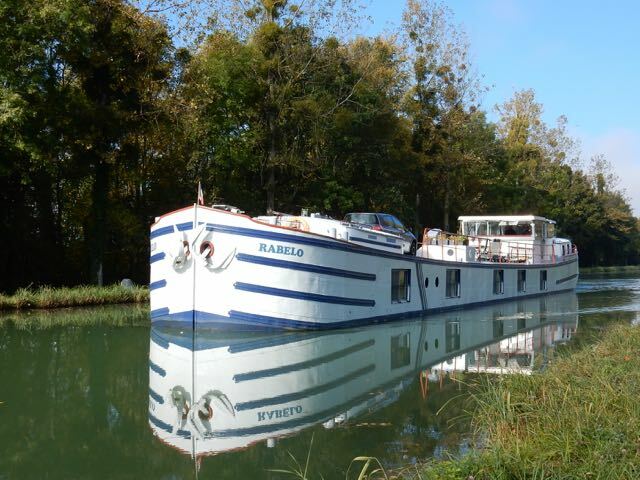 Rabelo on the Burgundy Canal for the last time this season. We showed our friends around SJDL and then drove to city of Dole. 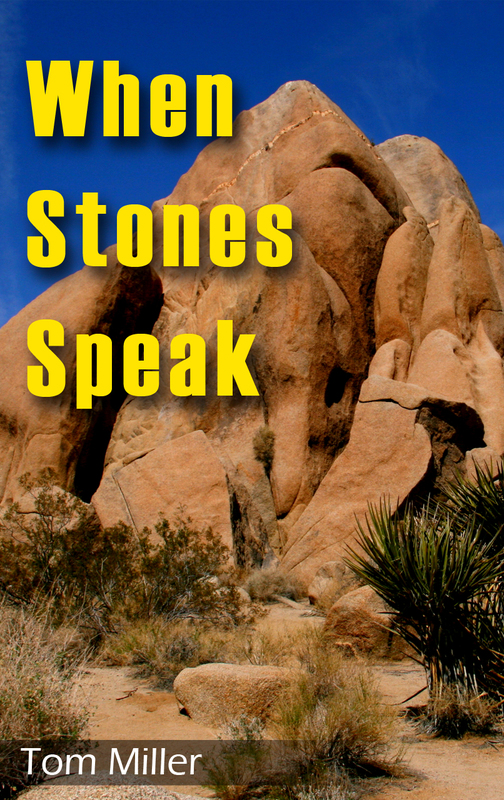 Dole is a great place to visit, as there is history and beauty. Louis Pasteur was born and raised there. The home he grew up in was also a leather tanning factory, and is open to the public. 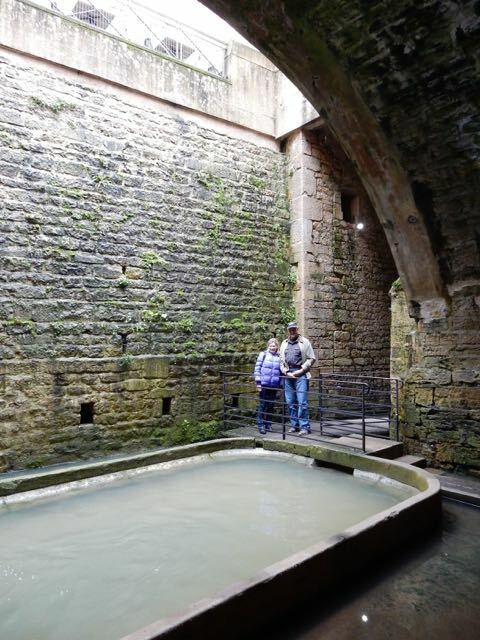 The tunnels we explored under the city were used to divert water to the many leather tanning facilities. The Dobb River flows through the city. We enjoyed the walk along the river, and the many nice parks we found. 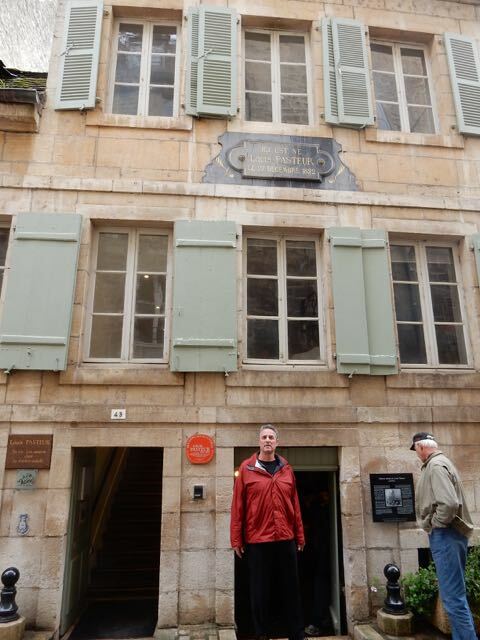 Standing in front of the home where Louis Pasteur grew up. Exploring the tunnels under Dole. Our next stop was Domaine Dubreuil-Fontaine. 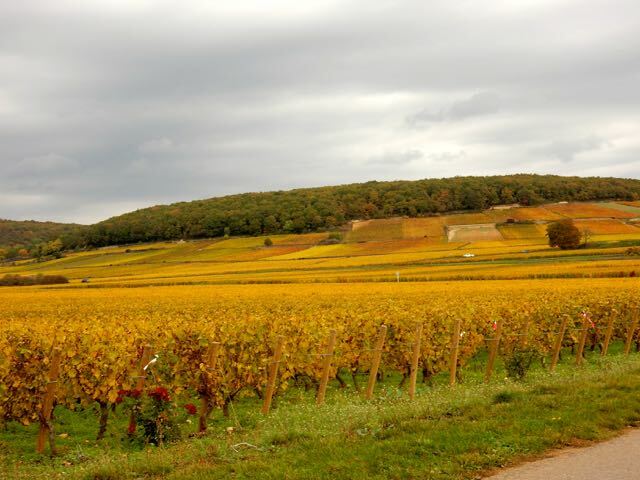 This very special winery is situated in the heart of Burgundy’s Cote D’or, or the Golden Hills. 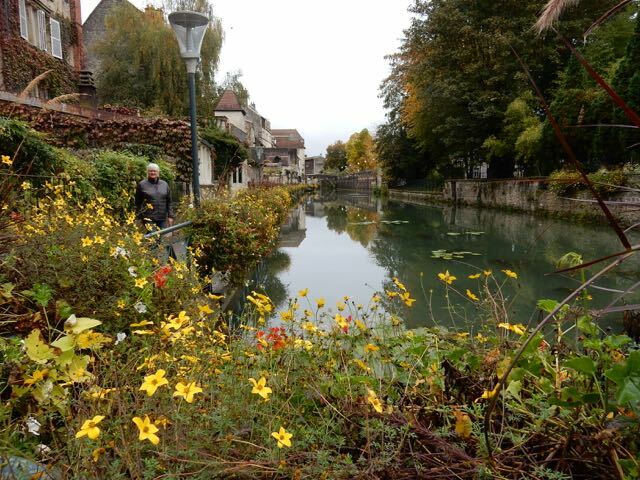 We’ve been to Dubreuil-Fontaine a number of times. Christine Dubreuil is in charge, and she is the fifth generation to run the winery. Anyone can buy a great $100.00 bottle of wine, but to find a sensational bottle at a reasonable price is a treat. That’s why we visit Christine on such a regular basis. Apparently we are not the only ones that have discovered the value at Dubreuil-Fontaine. 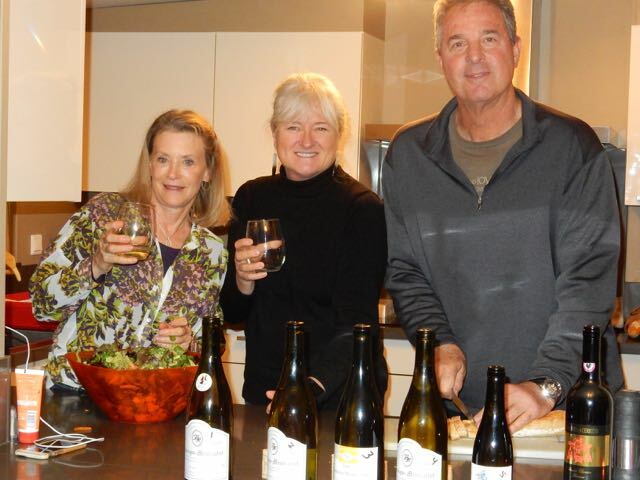 While we were tasting we meet Paul and Glenda from Alaska. They’ve been coming to France for years to buy wine for their cellar and a number of friends. Paul typically ships one or two pallets of wine back to the states each year. That’s almost a 100 cases. Burgundy’s Cote d’Or, or the golden hills. 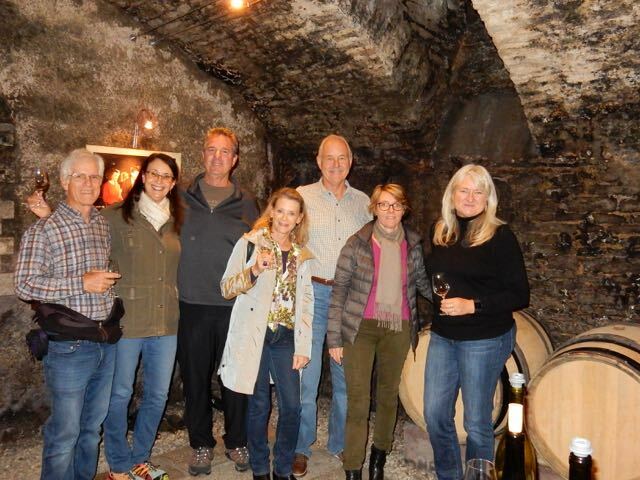 Wine tasting at DomaineDubreuil-Fontainewith with Christine Dubreuil, second from right. Wine we just had to taste furnished by our new friends Paul and Glenda. Dinner on Rabelo with both new and old friends. 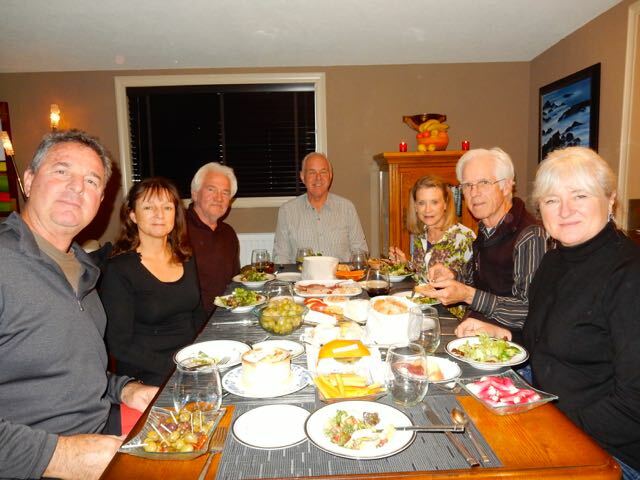 We hit it off so well with our new Alaskan friends that we invited them to dinner on Rabelo that night. Paul had six different wines he wanted us to try. He needed to decide what to ship back to his friends. It was a great evening, and we are looking forward to seeing Paul and Glenda next year.